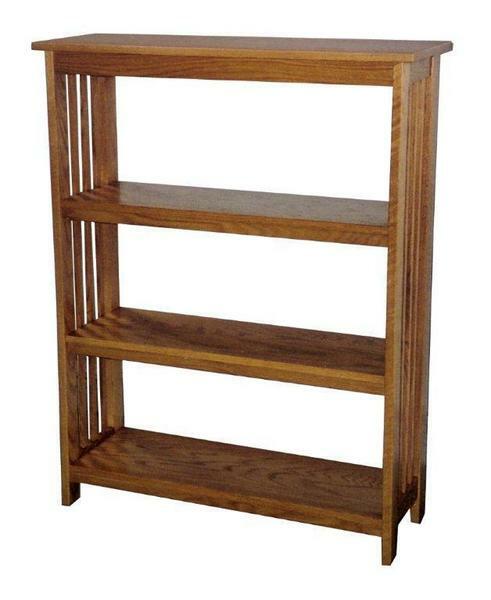 The Amish Furniture Office Furniture Solid Wood Mission Bookcase is available in four sizes. All of the bookcases and furniture in the Hochstetler Collection is proudly Amish handcrafted in the USA from 100% solid hardwoods. The Amish Furniture Office Furniture Solid Wood Mission Bookcase is available in a wide variety of stain selections. Please call one of our sales associates for stain samples.